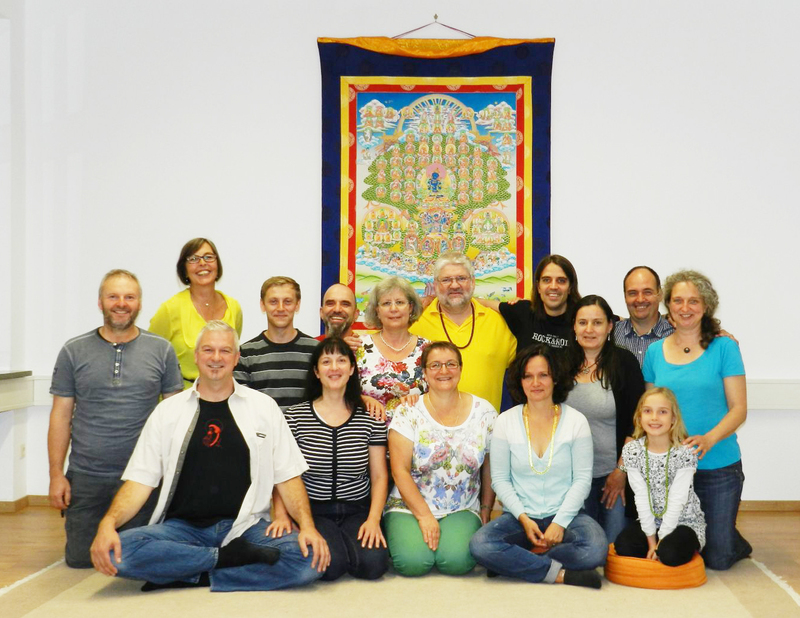 The Waldshut Diamond Way Buddhist Center was founded in 1996 by Lama Ole Nydahl. It is under the spiritual guidance of His Holiness the 17th Karmapa Thaye Dorje. The group first started in a private room, and changed location several times over the years. Since 2013 the center has been located in the top floor of a fitness & health center which offers different activities for the body from enjoying Asian food to martial arts and yoga. Our previous location, a historic mansion, has been visited and blessed by Thaye Dorje, His Holiness the 17th Gyalwa Karmapa in 2008. Lama Ole Nydahl visited and inaugurauted our center in 1996 and again in 2009. We offer weekly public meditation sessions on the 16th Karmapa every Wednesday evening at 8pm. Regular meditations are guided in German and our activities include explanations for those who are new to Buddhism as well as teachings held by travel- and local teachers. Once every month on Sunday we get together for a joint breakfast & meditation session.